The West Cornwall Concert Band was founded in 1998 and has performed regularly ever since. It is a friendly and welcoming band with a wide age range of players from youngsters to senior adult. 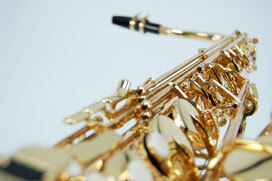 The band maintains a large ranging repertoire embracing classical, jazz, swing, rock, show, film and TV themes. We perform with local choirs, other bands and musicians in regular concerts throughout the year mainly in the west Cornwall area from Truro to Land's End. We are happy to entertain audiences in venues ranging from big outdoor public events to the more intimate surroundings of small village halls and everything in between. The band comprises a full range of instruments from woodwind to brass and percussion. We rehearse at the Camborne Wesley Methodist Church, Chapel Street, Camborne, TR14 8EG every Monday evening, except Bank Holiday Mondays, fom 7pm to 9pm. New players are always welcome. The rehearsals are open to anyone who wants to come along and discover the fun and reward of making music with like minded people. It goes without saying a warm and friendly welcome awaits all new and existing players. Click here for more details regarding vacancies and rehearsals.